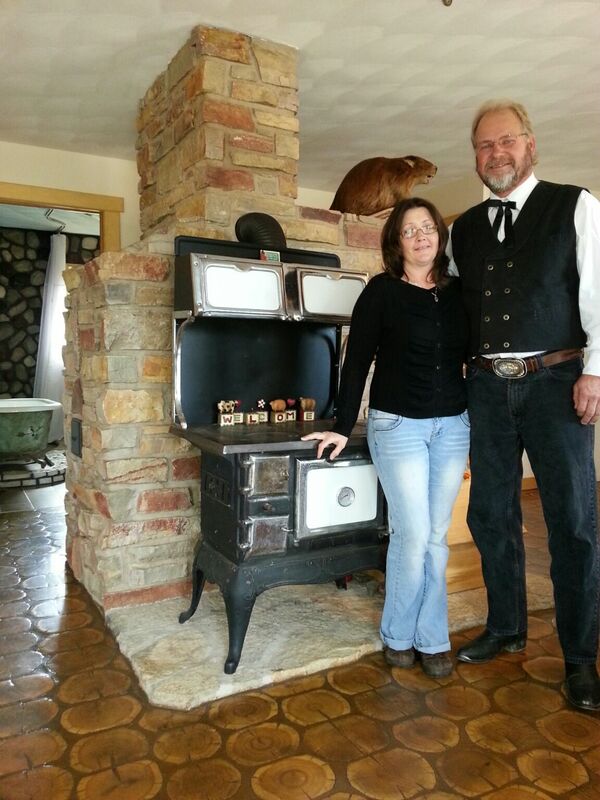 Steve and Sharon in front of their cordwood floor, their masonry heater, their wood cookstove, Roadkill the Beaver and the rock walled bathroom with claw-footed tub. 5/8″ hardwood slab of maple that was used for the floor. 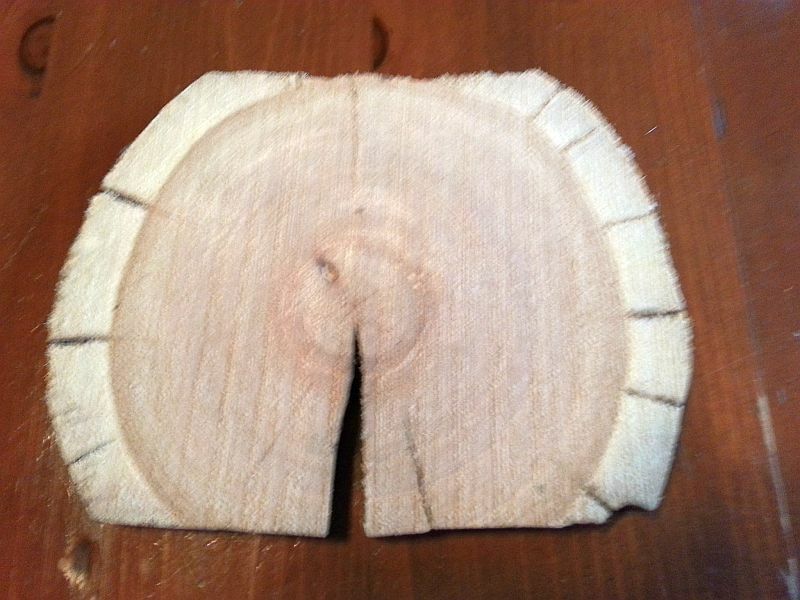 It was very dry and hard. 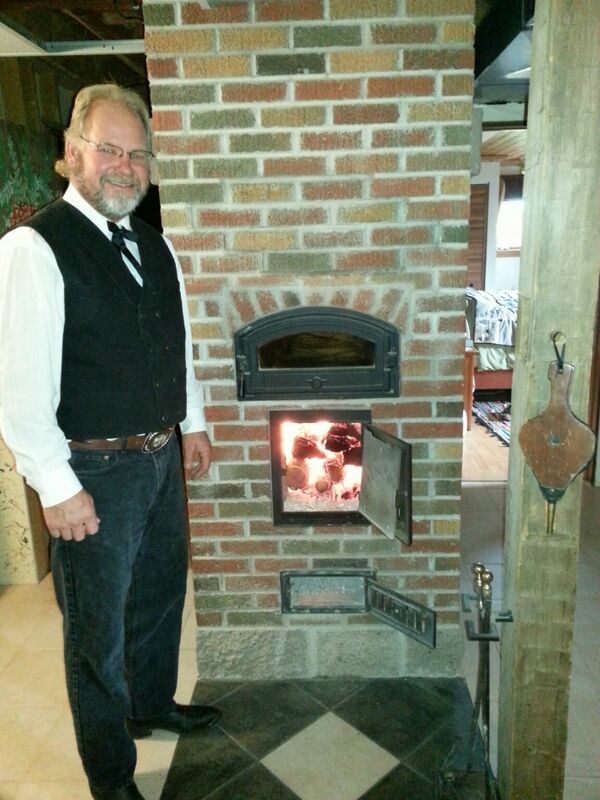 Here is where the masonry heater begins (in the basement), it is a two storey brick and block stove and heats the whole 1600 sq. 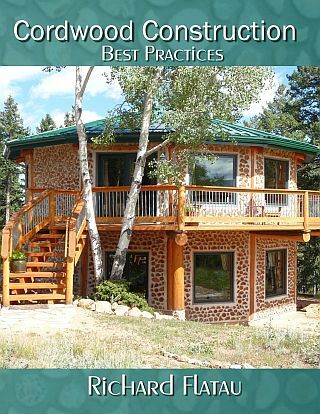 ft. house with one firing a day! Steve is rightly proud of his accomplishments. 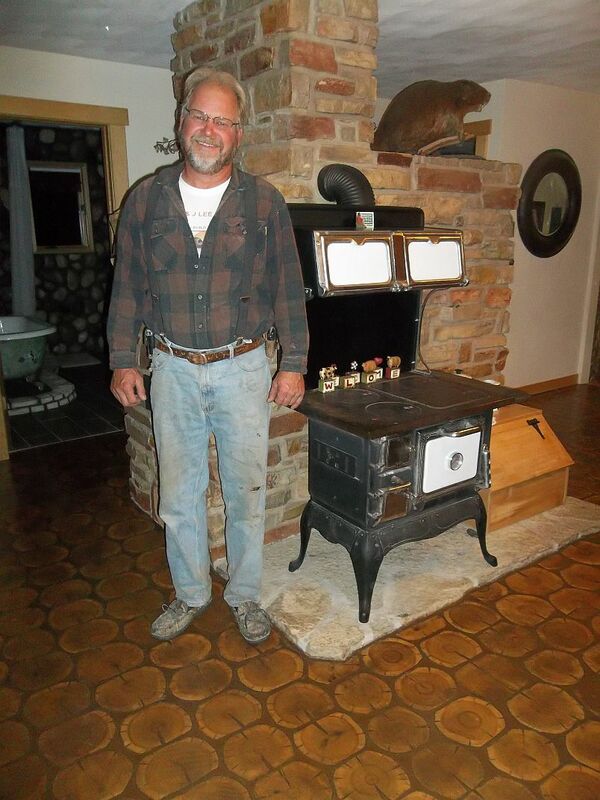 He is a master craftsman and works to reuse, recycle and repurpose. 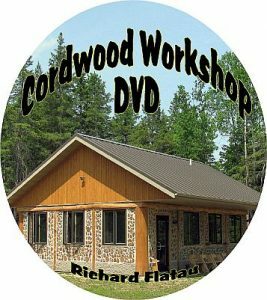 If you are interested in Cordwood and literature on cordwood the best place to find it is at https://www.cordwoodconstruction.org Click on the Online Bookstore link to find the available books on cordwood plus how to register for cordwood workshops!